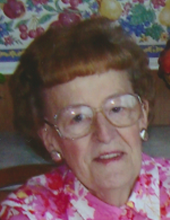 Lois P. Silk, age 84 of Southfield, Michigan, passed away on Sunday, November 11, 2018. She was born in Johnstown, Pennsylvania on September 12, 1934. She married Raymond Silk in Johnstown, Pennsylvania on October 29, 1955. He preceded her in death on November 2, 2007 after 52 years of marriage. Lois loved playing the piano and loved animals. She was employed with the City of Huntington Woods for 27 years. What was most important to her was raising her children and following Jesus. Surviving are her children, Brian (Cindy), her son, Tracy, and daughter Sheila; grandchildren, Nicole, Kalyn and Cody; brother, Ronald (Jeannie) Ling; and several nieces and nephews. She is preceded in death by her husband; her parents, Lowman and Mildred Ling; and siblings, Willard Ling, Clifford Ling, and Irma Benson. Visitation at Sawyer-Fuller Funeral Home, 2125 Twelve Mile Road, Berkley, 3-9pm Thursday, November 15th. Funeral 11 am Friday, November 16th at the funeral home. Burial Roseland Park Cemetery in Berkley. To send flowers or a remembrance gift to the family of Lois P Silk, please visit our Tribute Store. "Email Address" would like to share the life celebration of Lois P Silk. Click on the "link" to go to share a favorite memory or leave a condolence message for the family.